Innovation continues with an evolution of the Vismara V56 Mills. 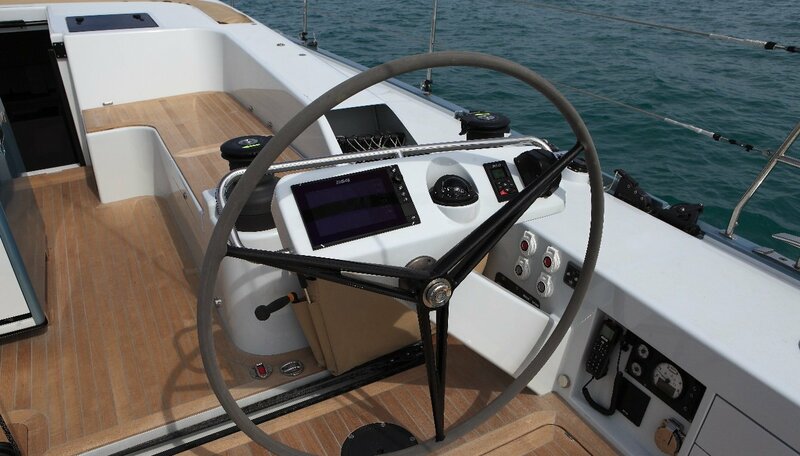 After the huge success of the Vismara V62 Mills, Mills Design were given the job to lead development of a new sail yacht for an experienced owner, who was looking for a high-quality blue water cruiser with tried & tested solutions, made with the very best composite materials. An innovative and harmonious hull structure made of carbon fibre and epoxy sandwich, post-cured at a controlled temperature of 60° for 24hrs. 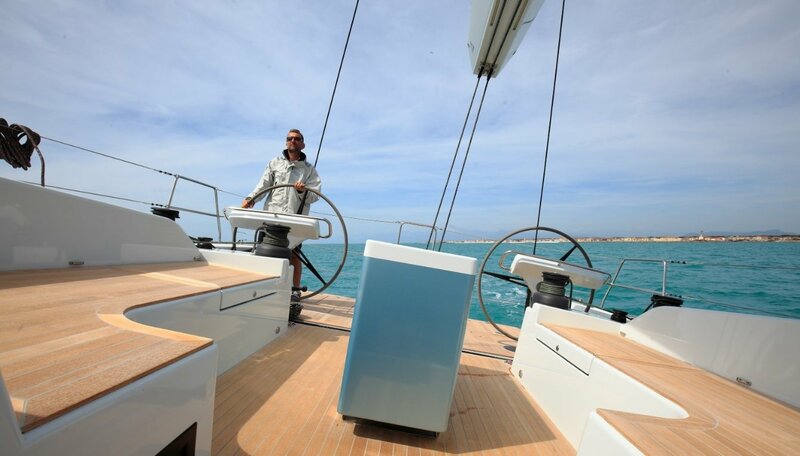 A high-quality mix of structural furniture and Burma teak for a blue water cruiser aimed at sailing in the Mediterranean in great comfort – a perfect integration of elements and Italian style. Vismara Marine used all their high technological expertise to minimise the displacement of this 17,00 m yacht to only 14.000 kg. Other highlights include twin rudder blades and CE certification – Oceanic A for the maximum in terms of safety and comfort. A great project, with great features need to a rig of the very highest quality. 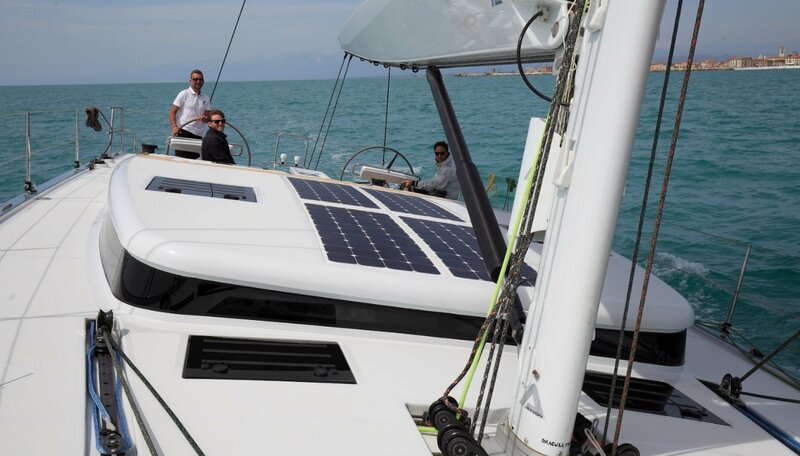 A carbon fibre mast, complete with park avenue boom, carbon fibre rigging, rod staysail, hydraulic adjstment for vang and backstay and the mainsail track are all part of this high tech and beautifully conceived rig package.The end result is an easily rig completed with powerful electric handling winches. The combination of this automation and the high quality carbon fibre sandwich construction creates a lightness in feel ensuring that sailing with a reduced crew on board is never a chore. Over the coachroof are 4 highly efficient solar panels connected to a regulated charger dedicated to preserving the best state of the gel batteries. After the success of the Vismara 47 FC, Vismara Marine is ever more friendly with yachts able to give the owners autonomy in the consumption of energy on board. 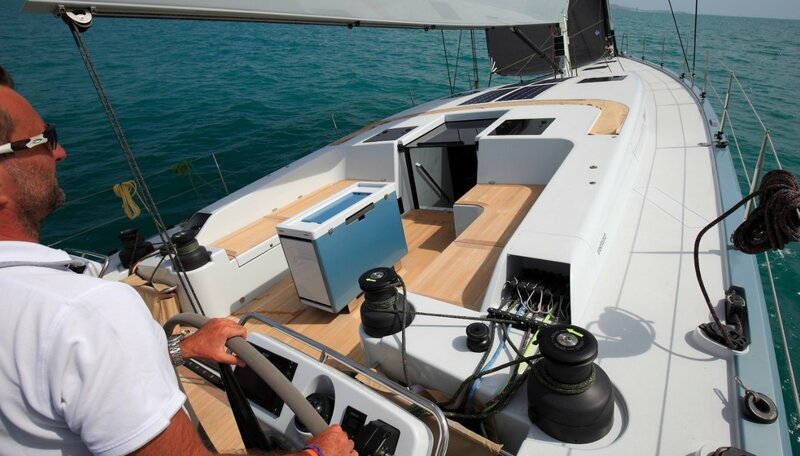 To be able to enjoy life on board without the noise of a generator and having a cockpit space free of sheets thanks to automated sail handling is the key goal with this advanced system. 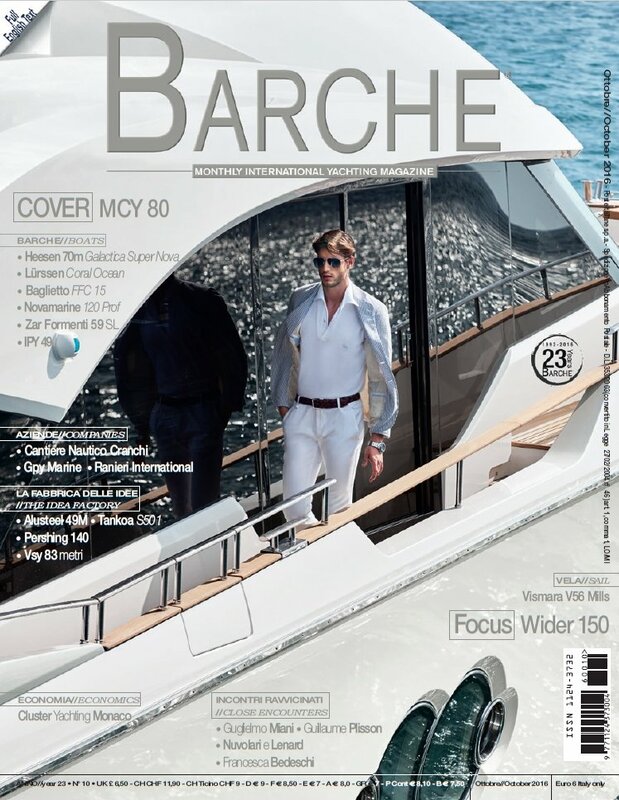 Lucio Micheletti has developed the interior design with the Vismara Marine Spa project team. 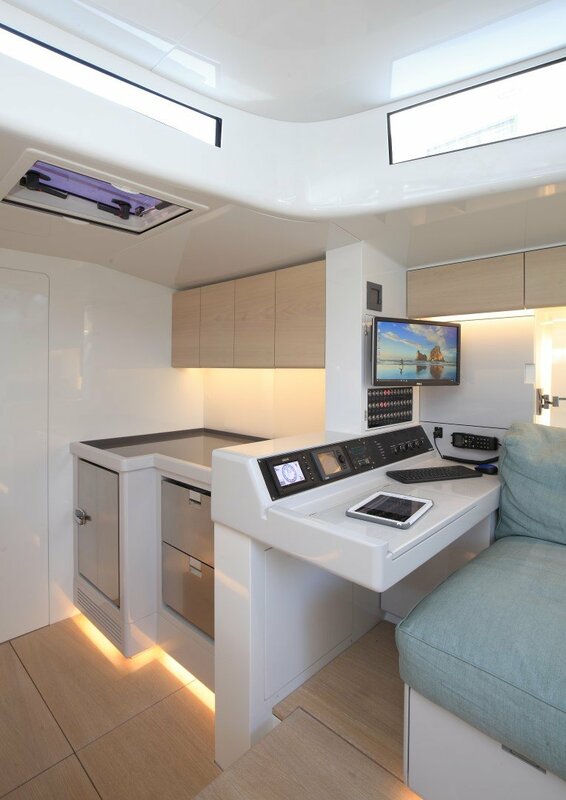 The new Vismara 56 Mills has either a two or three cabin layout, each with king size beds and dedciated bathrooms. 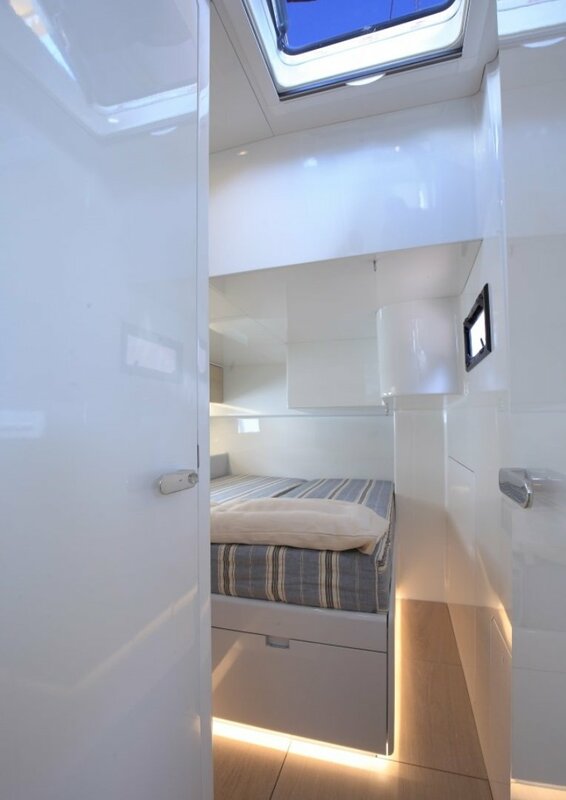 The master cabin is positioned forward with access to the fourth crew cabin in the forepeak through the master cabin or through a deckhead hatch. 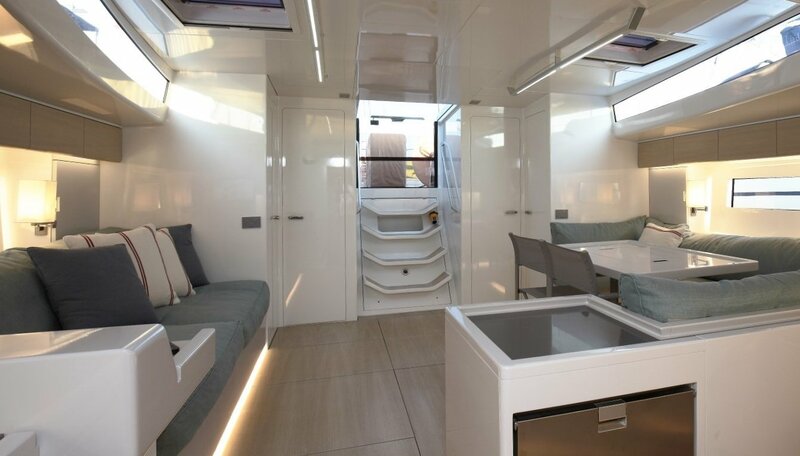 In the saloon there is a huge amount of space thanks to the galley positioned forward. 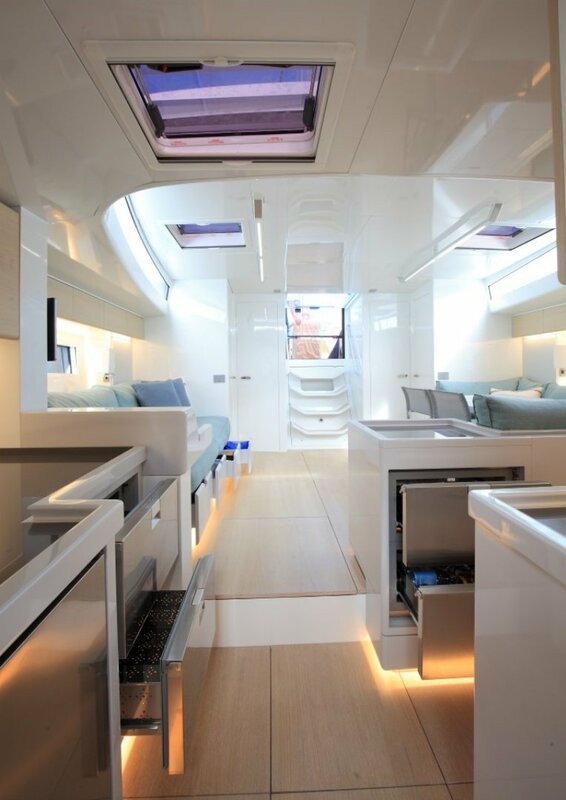 The saloon therefore takes advantage of the maximum beam in the hull. 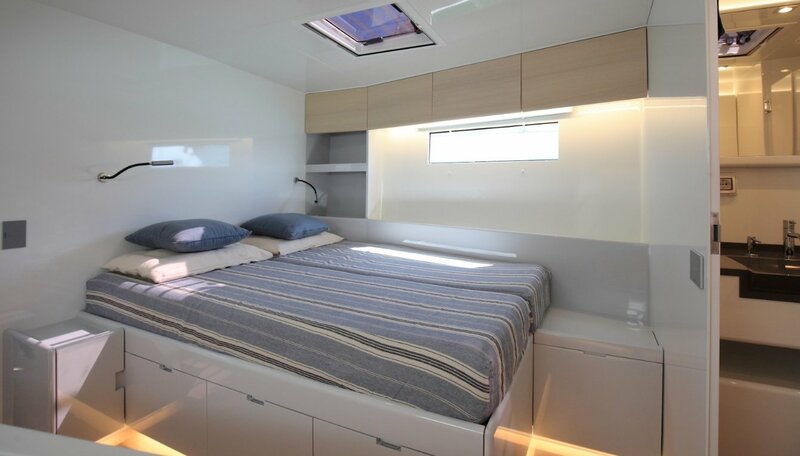 In the two cabin version, there is a technical room for storage and sails useful in the long cruising adventures.